If you are not familiar with Melissa & Doug children’s products then let me tell you, they only carry quality products. I have been a fan of Melissa & Doug since my oldest daughter was just a toddler. Right now they want to let everyone that is looking for the perfect Holiday gift to check out their Melissa& Doug Terrific Twenty List. They are also hosting the “20 Days of Terrific Twenty” Giveaway on their Melissa & Doug Facebook page. Don’t miss the chance to win a Melissa & Doug one-of-a-kind gift for that special child in your life. 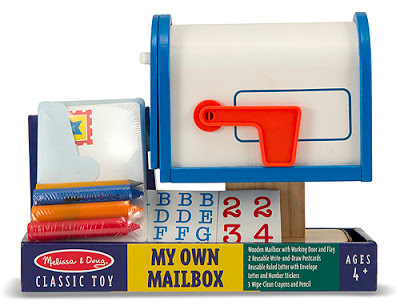 Melissa & Doug have been generous to offer One Mom's Moxie readers the chance to win a My Own Mailbox from the Terrific Twenty Holiday Gifts for 2012. The My Own Mailbox is designed for children ages 4 and up. The Melissa & Doug My Own Mailbox Giveaway is US only and ends 11/17 @ 11:59pm PST. 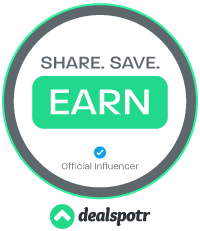 Disclosure: Please note that I only received product in order to post this giveaway. No other monetary compensation was provided. All opinions in this post are 100% my own. My daughter would love the mailbox!